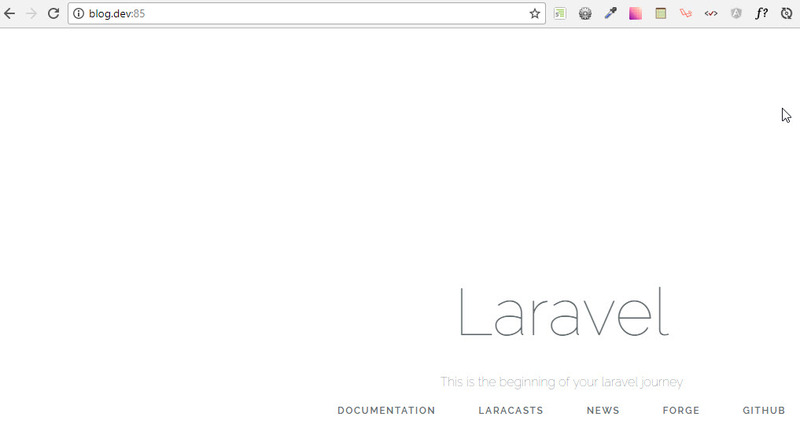 I have created a laravel project "blog" in laragon and is successful but pretty url "blog.dev" doesn't work. Wow, thanks for the fast reply however, it still didn't work using http://blog.dev:85. here is a screenshot of it. 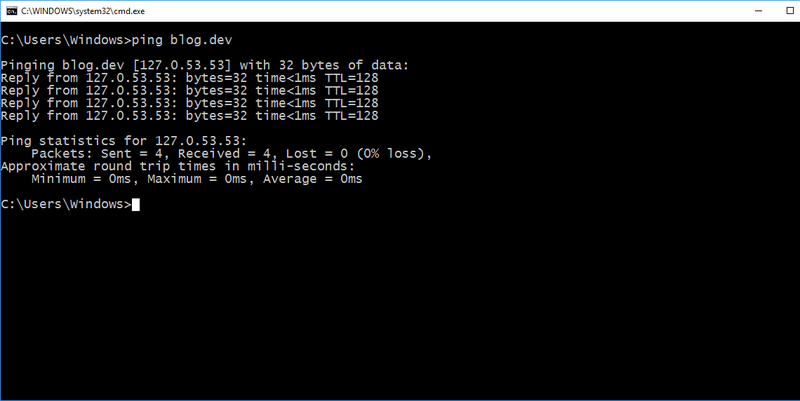 @leeyo-rapirap : Can you ping blog.dev? 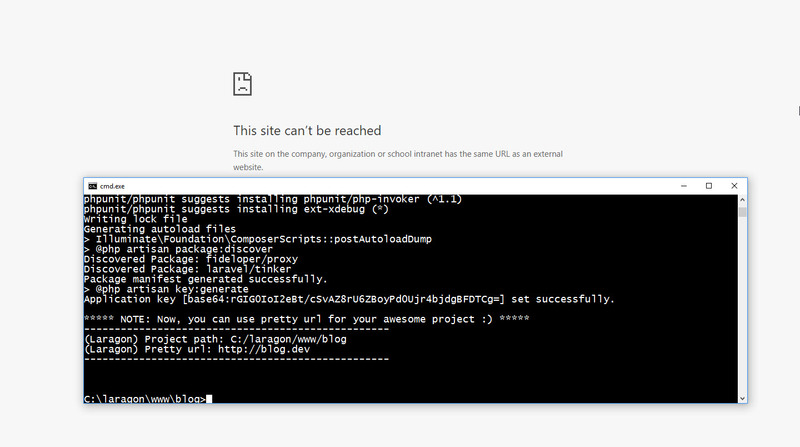 Yes I can ping blog.dev but still can't view it in a browser. You should follow my link to fix it. 127.0.0.1 is IIS in my PC, 127.0.0.1:85 is Apache. I have followed all the recommendations in your link but none of them work. Should I use php artisan serve instead? It is DNS resolution problem - Your OS does not respect information in your hosts file - not related to IIS or Apache. @leeyo-rapirap : There is no blog.dev in your hosts file. I thought it was automatic in laragon but yeah I will add it and let you know. @leeyo-rapirap : I thought so, too. However, for some reasons it was missing - strange. 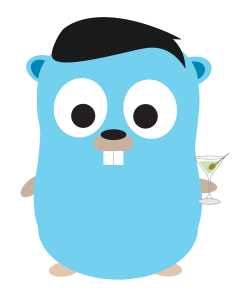 I have added blog.dev in my hosts file and it's finally working. Thank you for fast responses and your help. I also have the same problem, I have created a laravel project "awesome" in laragon and is successful but pretty url "awesome.oo" doesn't work. can anyone help me? why my url .oo, but everyone .dev ?? @sakura-everdeen : Any error when browsing http://awesome.oo/ ?